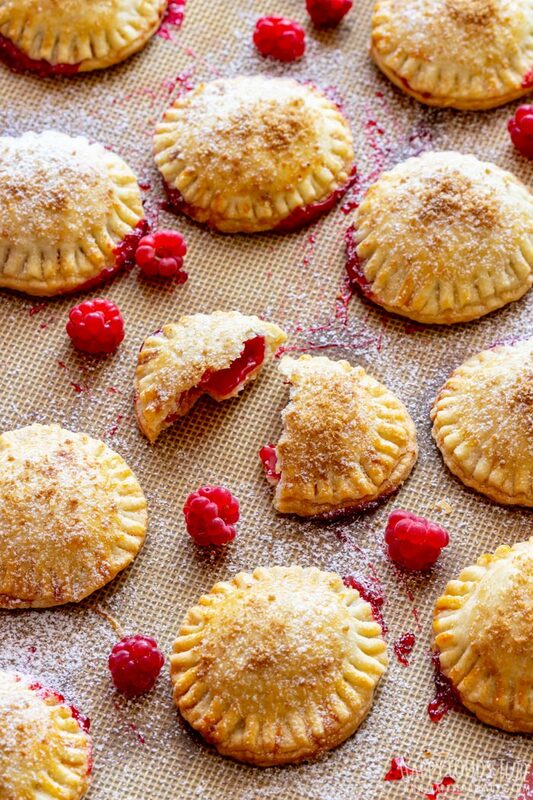 These bite-size raspberry hand pies are perfect for brunch, picnic or as an afternoon treat. A flaky buttery crust and a homemade raspberry filling make them hard to resist! Guys, would you choose pie over cake? I think it’s 50:50 for me. When you put No Bake Banoffee Pie in front of me I will tell you I am a pie person. 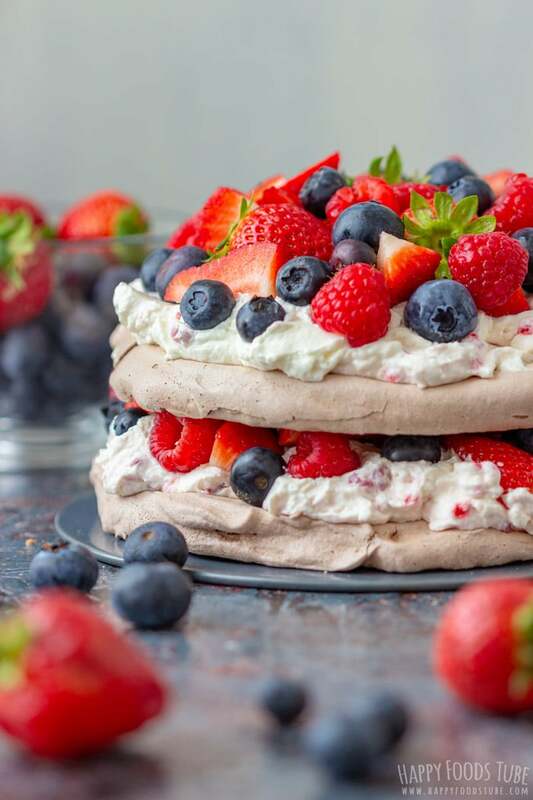 But when you give me a slice of Triple Berry Chocolate Pavlova Cake I won’t remember anything about the pie anymore. No matter what sweet dessert it is, I like when there are fruits or berries involved. And because raspberries are my favorite berries, I made us these raspberry hand pies. I was lucky to use berries from my parent’s garden – fresh and organic, picked up in the morning. But guys, if you don’t have any or you find them expensive, choose raspberry jam instead! They will taste equally delicious. First you need to make the dough. 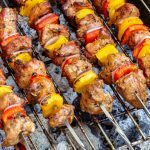 This is very easy and is ready in about 10 minutes. Maybe even less. The key here is using cold diced butter and cold water. I always use my hands to form the dough. The reason is simple: I can feel right away when the dough comes together so I don’t over-work it. It only takes about 5 minutes anyways. This is then flattened and wrapped in a plastic wrap (cling film). It has to be chilled in the fridge first. Now this time varies. I recommend refrigerating it for at least 2 hours. However, I prefer making the dough ahead and keep it in the fridge either overnight or for 2 days. Then I simply take it out and roll it thin. The raspberry hand pies will grow in the oven so the thinner you roll the dough, the better. Cut out circles. I used a round cookie cutter that was 2.5 inch (6.5 cm) wide. Then you place a dollop of homemade raspberry filling in the middle, cover it with another cut-out circle, push down the edges with your hand and then use a fork to seal them completely. 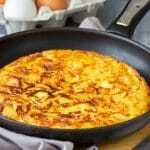 Brush with egg wash, bake and enjoy! This will depend on their size and the type of dough/pastry you are using so the time will vary. 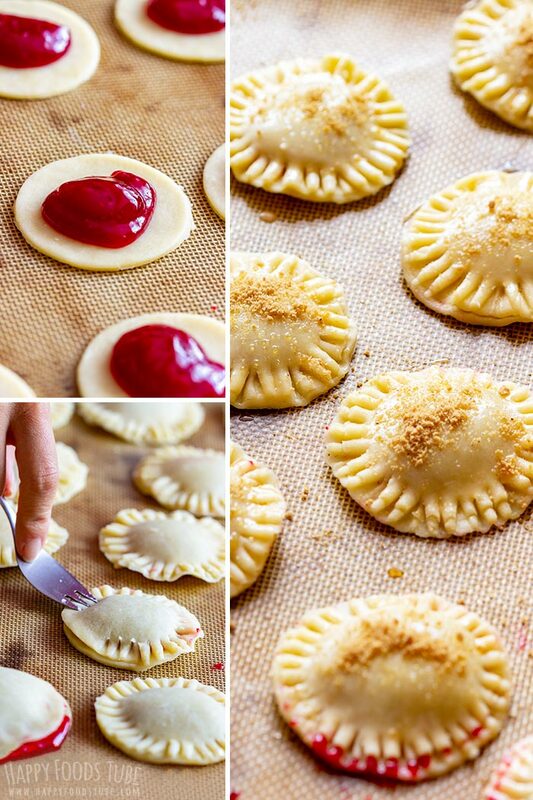 These mini raspberry hand pies need about 20 minutes in the oven. They will turn light brown. If you are not sure, just check the bottom of one of them. If it has nice brown color, you can take them out. 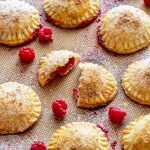 I made my own raspberry filling for these raspberry hand pies because I had a lot of raspberries on hand. You can use jam of your choice instead. I like Homemade Strawberry Jam but any flavor will work well here. Just make sure it has thicker rather than thinner consistency. 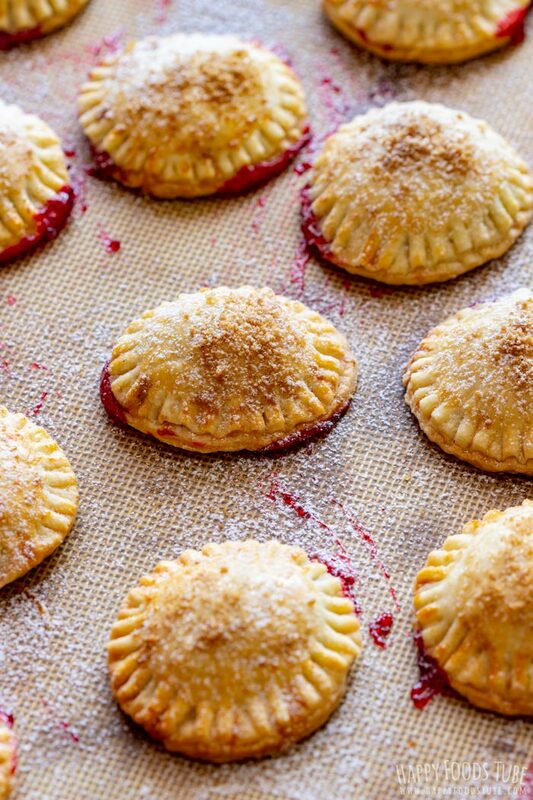 You can drizzle some sugar glaze over these raspberry hand pies (after baking). I did not use sugar glaze in this recipe but simply sprinkled them with crushed cookies before they went to the oven. When they cooled down, I dusted them with powdered sugar (icing sugar in the UK). Ground nuts could also be used. If you don’t have a cookie cutter, use a glass instead! Also they don’t need to be 2.5 inch (6.5 cm) wide so if you have a larger cutter, go ahead and use it. Just remember that you won’t get the same amount of hand pies stated in the recipe and the baking time might be slightly longer. When the pies are not sealed properly, the filling will leak out so the better the seals the more filling inside! 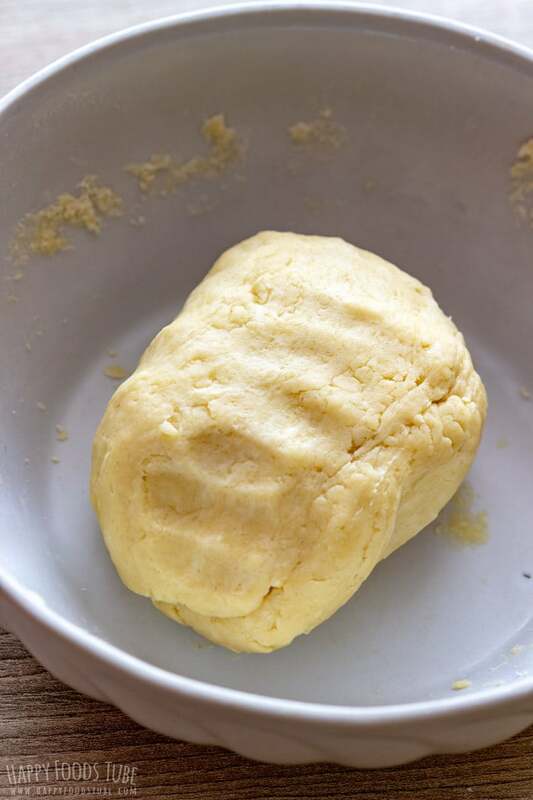 I must say that this is my favorite hand pie dough recipe! It’s flaky, buttery and can be stored in the fridge for a couple of days! In a large bowl mix the flour, sugar and salt. Add diced butter. 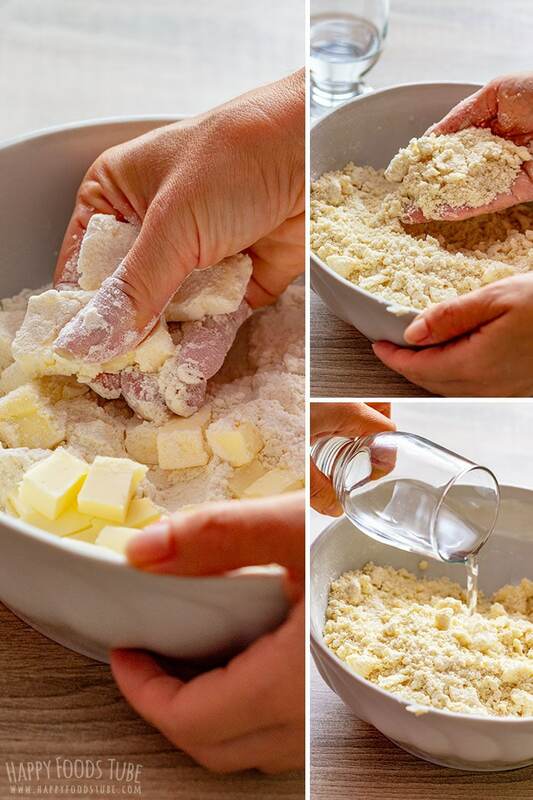 With your hands, mix the butter with flour and start breaking the butter (almost like flaking it first) until you get crumb-like texture. Add in cold water and form dough. This takes about 5 minutes. When ready, flatten it with your hand and wrap in plastic wrap. Chill for 2+ hours (best overnight). Combine all the ingredients in a small sauce pan, add ¼ cup water and simmer for 5 minutes. Run the mixture through a sieve to remove all the seeds. Pour it back into the saucepan. Add cornstarch dissolved with little water and simmer until it has thickened. Turn off the heat and let it cool down a little before placing it in the fridge to chill completely. For quicker/hassle-free raspberry filling alternative see note 2. Roll out the dough thin. Cut out as many circles as you can. 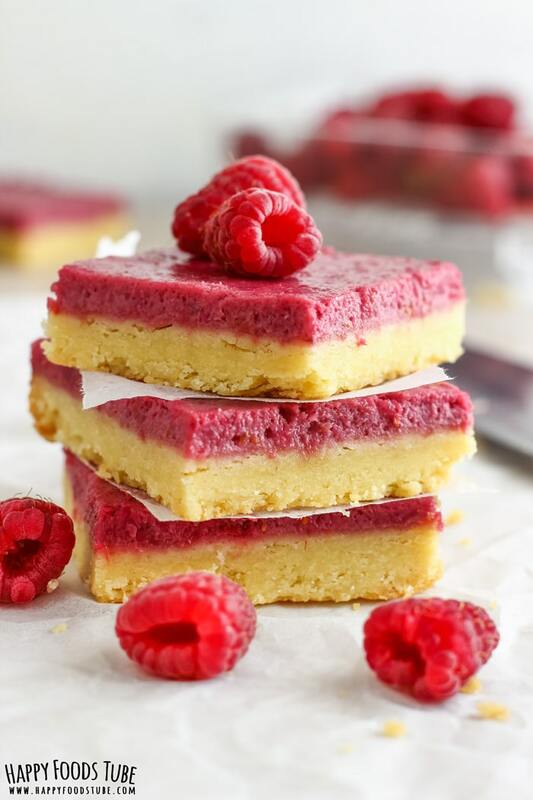 Place about a teaspoon of the raspberry filling in the middle of the circle, brush the edges with beaten egg and cover with another dough circle. Press the edges down slightly with your hand. Then take a fork and seal the edges well by pressing down the dough. Brush the top of each hand pie with beaten egg and sprinkle with crushed cookies/graham crackers (this is completely optional). Repeat until you use up all the dough. Bake in a preheated oven at 360°F/180°C for 20 minutes or until the bottoms are nice golden brown. Let them cool down before dusting them with powdered sugar. 1. All-purpose flour (US) = Plain flour (UK). 2. Instead of the raspberry filling raspberry jam (or any other jam of your choice) can be used. I recommend choosing one with a thicker consistency. 3. I used dry measuring cups to measure both the dry and wet ingredients (water). 4. I suggest making the pie dough and filling a day ahead. It’s easier because both the dough and filling need to be chilled first. 5. The pie dough as well as the homemade filling can be stored in the fridge up to 3 days. 6. The overall time does not include time needed for chilling the dough and raspberry filling. These are absolutely gorgeous and I bed they’re super delicious too! Can’t wait to make them myself! 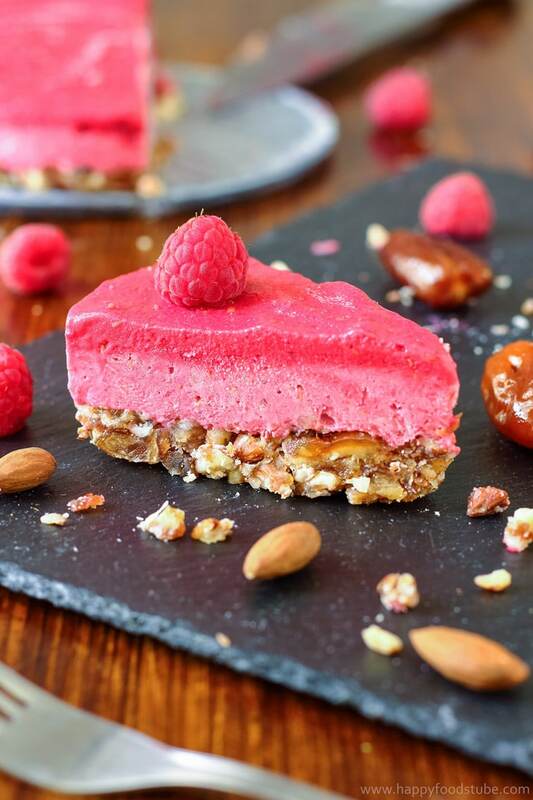 One word…RASPBERRIES! These hand pies look wonderful and really easy to make. I bet the family would love them too. Awesome looking little sweet treat! I bet my daughter would absolutely love these. Perfect for a picnic too! These are the cutest little hand pies. I just want to pick them all up. Love raspberries and thanks for the lesson. These raspberry hand pies look so pretty and I’m sure taste delicious! 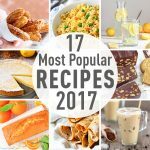 I just pinned to my dessert board and hope to make them soon! Hand pies are so perfect for the summer! no fork needed! I love raspberry pie! 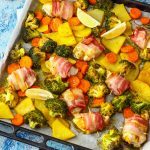 These look so delicious and perfect to make with kids! Robin, I can’t be happier to hear that your hand pies tasted amazing! And that cherry-berry fruit mix you used sounds absolutely delicious! Thanks so much for finding time to leave the comment and rating :). I’ve got raspberries coming out my ears! ! Do you think I can make batches of these and freeze uncooked? I’m sure they’d be best fresh baked. Can you send some of them over to me? :) I’d say you could but haven’t tried it myself. What you could do is make raspberry jam and use it as filling whenever needed. I do it that way when I feel lazy or have no raspberries on hand. You could also try making raspberry syrup. 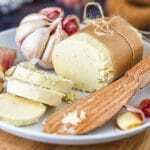 I have a recipe on the blog so you can check it out. Hope this helps!